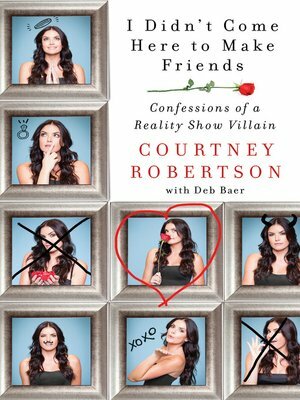 In I Didn't Come Here to Make Friends former Bachelor "villain" and season 16 winner Courtney Robertson shares her story of love and heartbreak, and the reality of appearing on reality TV. For the first time ever, a former Bachelor contestant takes us along on her journey to find love and reveals that "happily ever after" isn't always what it seems. A model and actress, Courtney Robertson has appeared in numerous print, runway, and television campaigns and in the pages of Vogue, Self, InStyle, and Fitness magazines. She lives in Santa Monica, California.